Aerospace giant Boeing recently completed a successful Google Glass pilot, reducing production time of aircraft 'wire harnesses' and chopping related error rates in half. The company also says it is 'very close' to launching a live smartglass system. 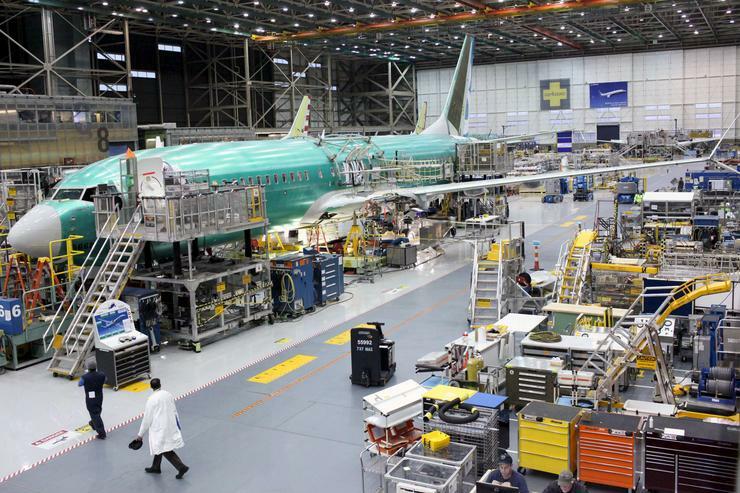 Boeing, the largest aerospace company on the planet, builds a lot of planes. The organization manufactures aircraft for airlines and governments in more than 150 countries. And every one of those planes contains thousands of wires that connect its various electrical systems. These complex webs of wires don't weave themselves, and putting all the parts together is a monumental task. Each week, thousands of Boeing's U.S. workers construct "wire harnesses," or "people-size portions of the electrical systems" designed to help them join the various shapes and sizes of wires, according to Kyle Tsai, a research and development (R&D) engineer with Boeing Research and Technology (BRT), the company's central R&D organization. "Wire harnesses are very complex and very dense, and the technicians have to use what are, in essence, roadmaps to find the attachment points and connector pins," Tsai says. "There are so many that it can be information overload at times." Today, Boeing wire-harness techs mostly use PDF-based assembly instructions on laptops to help them find the appropriate wires, cut them to size and then connect the components via wire harnesses. Techs must constantly shift their attention back and forth between on-screen roadmaps and harnesses. And they use a lot of CTRL+F keyboard commands to find specific wire numbers, which means techs have to frequently use their hands to manipulate computers and navigate wire documentation. A Boeing technician working on a lenghty aircraft wiring system. For 20 years, Boeing had been looking for a hands-free system that used some sort of wearable computer to reduce production time and related errors. 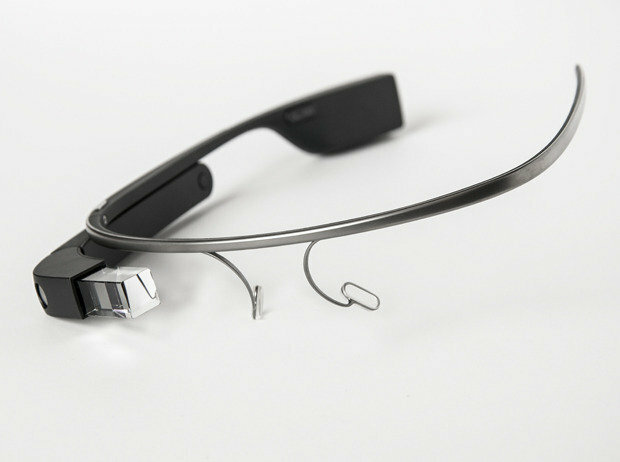 The company experimented with an augmented reality (AR) application and "head-mounted, see-through display" called the Navigator 2 as early as 1995, according to the 2008 book Application Design for Wearable Computing. But effective and affordable hardware just didn't exist … until Google released its Glass smartglasses. In the past, "everything was hardware constrained: battery life, screen, weight," according to Jason DeStories, another R&D engineer with BRT. "Now we're in a era where hardware is no longer the constraint." When Google released the first "Explorer Edition" of Glass in the fall of 2013, DeStories says his manager purchased a few of the early smartglasses and asked him to start tinkering, to see if Glass might be the hardware the company needed. In early 2014, DeStories and his team got to work on a demo application designed specifically for wireless harness assembly. The challenge, according to DeStories: "How do we get that information to the technician right at the time they're doing it, in the shortest manner possible, with the simplest user input?" The goal was to "reduce [technician's] time from intent to action," he says. 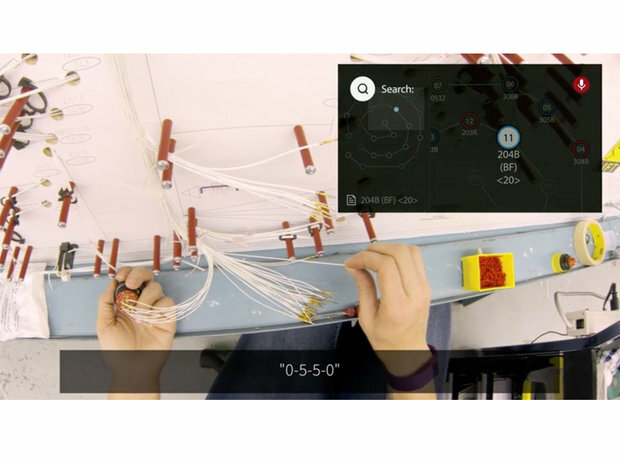 It didn't take long to come up with a barebones Glass app, and DeStories and his crew started to slowly show it to small groups of wire harness techs. The Glass app was a hit and served as a proof of concept. Later that year, an internal Boeing newsletter detailed the initiative, called "Project Juggernaut," and drew attention across the company. "It piqued a whole lot of interest," DeStories says. "That really forced us to take a step back and realize we needed an enterprise solution, not just this one-off application." 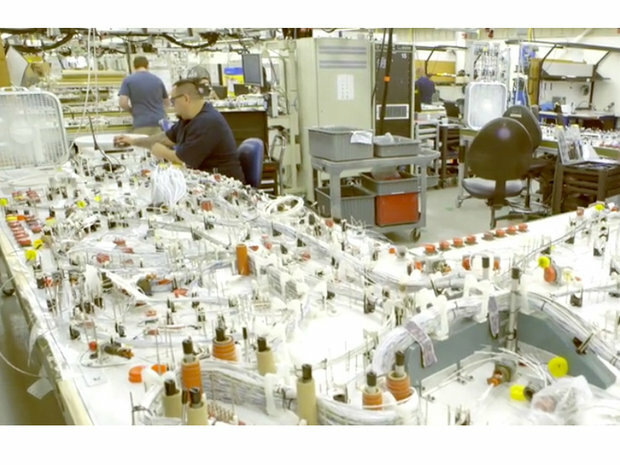 To take Project Juggernaut to the next level, Boeing had to find a secure, reliable way to connect Glass to its wire harness database and pull the necessary information in real time. "Boeing put a competitive RFP [request for proposal] out into the market that I'm sure all of the Glass at Work partners heard about," says Brian Ballard, CEO and cofounder of APX Labs, maker of the Skylight enterprise platform for smartglasses and a 2016 World Economic Forum Tech Pioneer company. "They described a pain point in their manufacturing process, and we saw it and were like, 'Oh man, that is exactly what we can do.' We started a competitive bid for it and won the work." Boeing and APX Labs started work to integrate Skylight in early 2015, according to Ballard, and between March and November, DeStories and his team traveled to various Boeing locations and showed an early offline version of the Glass app to determine whether or not the concept would stand up to scrutiny on the harness floor. The team also did an internal training event with about 20 people, expecting some pushback. "Out of those 20 people, maybe two were not that excited," he says. "The rest were excited to use it and picked up on it pretty quick." It was clear, that "across the board, it was going to work," according to DeStories. During the pilot, when a participant showed up for work she'd first visit a lockbox to check out a Glass unit, and then go to her computer to login and authenticate the device on the network, according to DeStories. 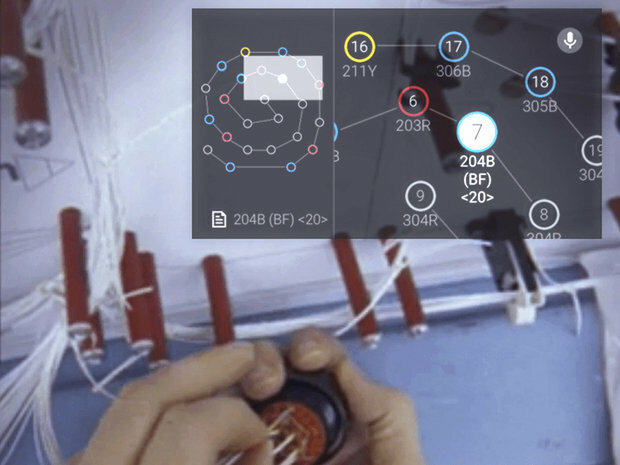 For authentication, the tech would put on the smartglasses and scan a QR code generated by the system on her computer, which then pushed the wire harness app to the smartglasses. Next, the tech would head to her work station on the assembly floor, grab the next "shop order," and then scan another QR code on the box of components, which provided necessary status updates or notes and told her where to get started, DeStories says. The Skylight app supports touch gestures and voice commands, so a tech could, for example, pick up a box of components, and then begin the process by saying, "OK Skylight. Start wire bundle. Scan order." Next, she might say, "OK Skylight. Local search. 0447," to quickly launch an assembly roadmap for the wire No. 0447 on her smartglasses heads-up display. If she came across a problem she couldn't solve on her own, she could stream her point-of-view video of the wire harness to an expert in another location for assistance. Or she could check to see if there was another assembly video already available for playback on the smartglass display. "When you truly sit in the pilot seat, from the technicians point of view, having a hands-free device where the information is just always in the upper right corner of your eye really starts to make sense," DeStories says.